Behold is a genealogy program different from all the others, that will improve the way you work with your family tree. 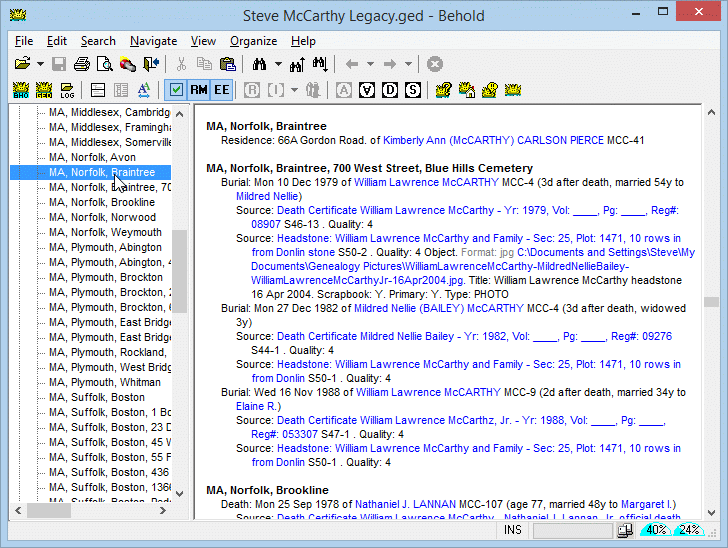 The nice thing about most Genealogy programs is that they are relatively easy to use. That's because they have a simple form-based interface for you to enter your data. But that does slow your data entry down and only helps get your data in, not out. Behold will give you the edge you need, letting you get your data in quickly like a word processor, while simultaneously providing you total access to all your data however you may want to view or filter it.